An honour roll commemorates scholars who served in World War One. Empire Day celebrations were carried out in a fitting manner. During the morning the Warden and councillors paid a visit to the state school and addressed the children. 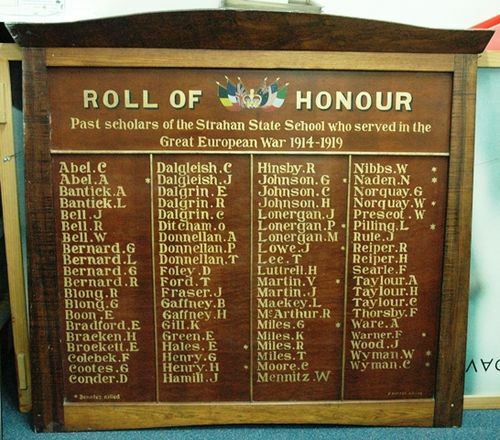 A blackwood honour board, containing the names of scholars who served in the Great War, was unveiled. The hoisting of the Union Jack and march past of scholars concluded the ceremony. Examiner (Launceston), 29 May 1923.